Members of the military have a different housing opportunity. 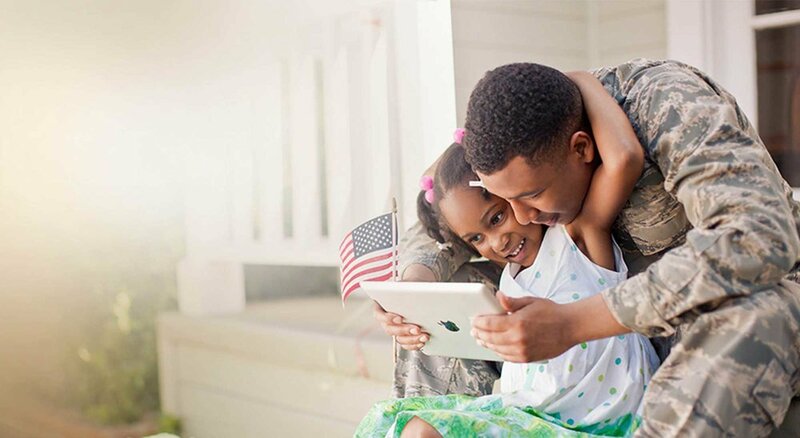 Military can actually purchase homes with little or no down payment. Taking out a VA mortgage loan on a new home purchase is a fantastic way to finance a property with a low interest rate, with little to no required down payment. Choose your lender, present your Certificate of Eligibility, and get pre-qualified. The property gets appraised. If the determined value is acceptable and the VA Underwriter determines that your loan application meets the VA loan requirements, your mortgage can be approved. As of late, getting full approval and closing your VA purchase mortgage has been taking between 30 to 45 days. This time-frame is more or less the same as that for conventional loans. A 30 day escrow should be no problem if the property is in good condition. If you or someone you know is looking to explore their options with VA financing feel free to contact us, we are here to help you and we love serving those who serve.